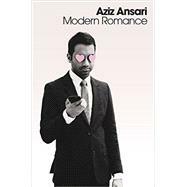 Aziz Ansari is a stand-up comedian and an actor. He is on his fourth major stand-up tour, which was filmed for his next stand-up special, Aziz Ansari: Live at Madison Square Garden.” His last special, Buried Alive,” premiered on Netflix in 2013. He currently stars as Tom Haverford on the Emmy-nominated comedy Parks and Recreation with Amy Poehler and other great people. He’s appeared in several films as well, including This Is the End, Funny People, and 30 Minutes or Less. He enjoys eating fresh pasta and watching multiple hours of critically acclaimed TV dramas in one sitting.